USAID će u srijedu 27.03.2019. održati Pre-Concept Paper Conference za poziv APS-72016819APS00001 u Međunarodnom centru za djecu i omladinu Novo Sarajevo, Kemala Kapetanovića 17, Sarajevo, od 10:00 do 12:00. Organizacije van Sarajeva se mogu uključiti putem Skype-a kako je navedeno ispod. This is to provide the details on the Pre-concept paper conference under APS 72016819APS00001 Localworks (Snaga lokalnog) scheduled for March 27, 2019, from 10:00 to 12:00 local Sarajevo time. 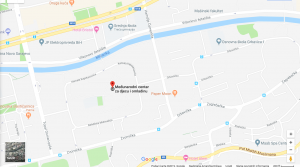 The address where the conference will be held is: Međunarodni centar za djecu i omladinu Novo Sarajevo” Kemala Kapetanovića 17 For virtual participation please call skype name snaga lokalnog. The call (audio only) can handle up to 25 participants. Deadline for registration is March 26, 2019, 9:00 a.m. local Sarajevo time. Please indicate whether you plan to addend in person or virtually. All questions related to this APS must be submitted by March 25, 2019, 9:00 a.m. to the e-mail address provided under the APS. Participants are encouraged to read the entire notice of funding opportunity before the conference. Conference agenda can be downloaded from Related Documents tab.